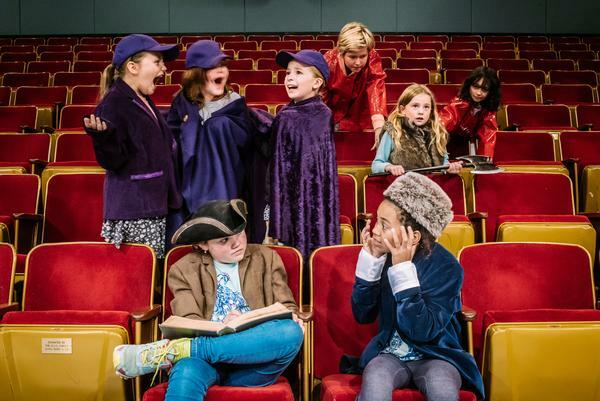 Learn about the quarterly theater school offered by Bainbridge Performing Arts for community members of all ages, and hear about the upcoming November 3rd and 4th shows in the Fall Play Festival that will feature this Fall’s theater school young graduates. On Thursday and Friday, Nov 3rd and 4th, the Festival consists of a double bill. 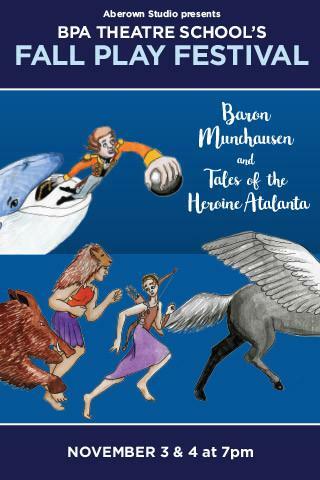 See the 2nd to 5th graders perform the tall tales attributed to Baron Munchausen. And then see the 5th to 8th graders perform three of the celebrated myths of ancient Greece where a legendary huntress named Atalanta plays a major role: Tales of the Heroine Atalanta. Shows start at 7pm. 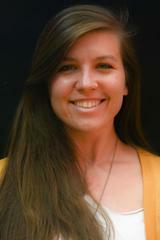 Our podcast guests are BPA’s new Education Director Liz Ellis, and one of this Fall’s theater school graduates, Red Scheetz, who performs in one of the upcoming shows. Liz spent much of her young life around theater, and specifically around BPA. She explains the advantages of attending theater school. 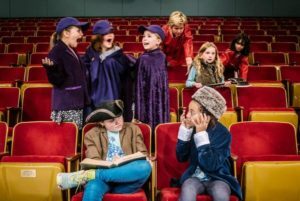 Students learn a combination of theater skills — like acting, singing and dancing — along with life skills such as listening, participation and teamwork. Liz points out that our community is rich with experienced theater teachers — such as a stand-up comedienne and a Tony Award winner to name just two. Our teenage guest, Red, says she’s been attending 8 or 9 rounds of the BPA theater school during the past 5 to 6 years, and that’s resulted in performing in 8 to 10 productions. For tickets, visit the Fall Play Festival page of the BPA website. There’s special pricing for kids at only $5, with adults at $10. Credits: BCB host: Channie Peters; BCB audio editor: Chris Walker; and BCB social media publisher: Barry Peters.